At casinos, so many people get very comfortable playing the slots, and they feel intimidated by the casino’s table games. Often, they even have a belief that the slots offer them a better chance of winning money. That is not true. 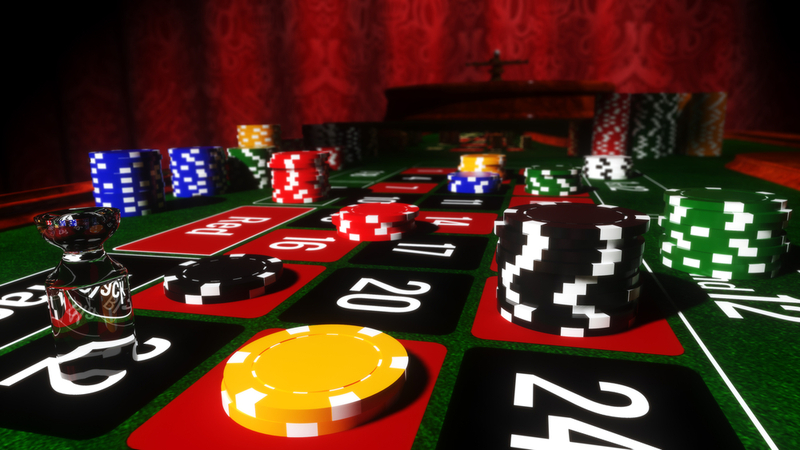 In reality, the table games offer players much better odds – and most of them are not at all very difficult to learn how to play. Are you finally ready to get serious? The next time you visit a casino, why not look to go home a winner. Here is an overview of the three most popular casino table games, which also offer some of the best odds. Without a doubt the most popular casino table game, Blackjack also offers the best table game odds. The house edge for Blackjack is under 1% at most casinos. I’m sure you have heard of Blackjack, and perhaps you’ve even played it with friends before without knowing it. Blackjack is often called Twenty-Ones outside of casinos – the popular card game where players have to try to score a card value of 21 or as close to 21 as possible, without going over it. Ace: Can be counted as either 1 or 11. 2 – 10: Is the number of the card. King, Queen, and Jack: Counted as 10. The dealer deals out two cards to each player face-up. He deals out two cards to himself with one of them face-down and one face-up. Each player is playing only against the dealer, and not against each other, so there is no need to feel intimidated by more experienced players. Unlike poker, Blackjack is mostly a game of chance. Each player can then choose to stick with the two cards they have (stand), to have additional cards dealt out to them (hit), or to double their bet, but by doing this they are only allowed one more card. When each player has chosen to stand or has gone over 21 (bust) and so is out of the game, the dealer finally reveals his own face down card, or ‘hole card’, and he will hit until his total card value is over 16. The dealer will either bust, in which case the remaining players have won, or the game is decided by who is closest to 21. A ‘Blackjack’ is the highest possible hand and it happens when a player gets 21 with only two cards: 10 or a face card, and an Ace. Roulette is probably the easiest casino table game, and it also has one of the best game odds, with a house edge of less than 2%. The Roulette wheel is numbered 0 – 36, with some of them being black and some red. The dealer spins the Roulette wheel and then rolls a ball around the edge of the table spinning in the opposite direction. Players gather around the roulette wheel and place their bets on where the ball will land. They can bet on on a specific number, colour, or on whether it will land on an odd or an even number. They can also bet on a combination of these different options. With the different bet options available, this is probably the best casino table game to play if you are a complete novice. 2 – 9: Face value. King, Queen, Jack, and 10: Have a value of 0. In Baccarat, the object of the game is getting a winning hand close to nine. Players do not have a great deal of input in the gameplay, as it plays out according to a set of predefined rules, and the dealer will direct the game for the most part. If, for example, a player bets on the banker’s hand, and if the game ends with the banker having the winning hand, then that player has won. It’s essentially that simple and straight forward. I hope you can now see the advantage of playing casino table games, rather than limiting yourself to the worse odds of slots. True, it might mean moving out of your comfort zone but remember: Fortune favours the bold.